Innovative Oneberry RoboGuardTM incorporates multi-functional proactive security, surveillance, marketing and administrative functions. 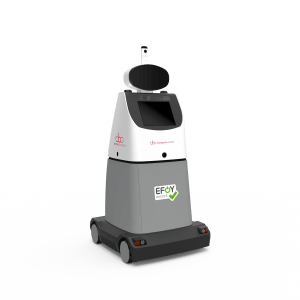 +++ Thanks to the EFOY fuel cell, the robot is always ready for use anywhere, anytime, with extremely long off-grid autonomy. Following a first big VFD follow-up order in February, Canadian oil producer places another major order for more of the same Simark systems, based on the success of Simark’s integrated solutions in their applications. +++ Simark’s VFD systems help the oil producer to significantly reduce costs with unique installation and operation benefits. 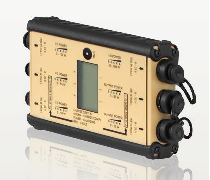 Major Canadian Oil and Gas Company buys Trio Radio communication systems to further the automation of their oil and gas operations in Western Canada. 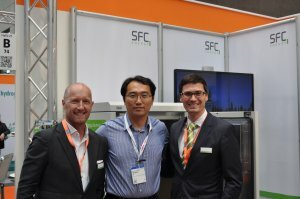 +++ Simark Controls is a leading provider of fully integrated, turnkey SCADA communications systems that are often equipped with SFC Energy’s EFOY Pro fuel cells for off-grid installations. +++ Order amounts to approx. CAD 0.7 million. 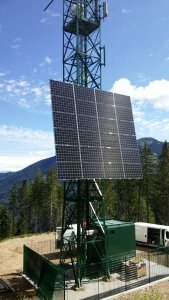 Fuel cell ensures uninterrupted power supply to the telecommunication tower in case of power outages.+++Order builds on the success of SFC EFOY Pro fuel cells in other Calzavara applications. SFC Power Manager autonomously distributes power to different voltage consumers on board the vehicles and charges batteries in the vehicle.+++SFC Power Manager enables major weights and space savings over conventional vehicle power supplies and battery chargers.+++International defense organization already uses SFC Energy’s EMILY fuel cell in their vehicles. New customer uses the weatherproof EFOY Pro hybrid solutions for powering off-grid actuator valves on liquids pipelines in Canada. +++ Fuel cells ensure autonomous 24/7 operation of the systems while significantly reducing logistics and service cost. Environmental friendliness of the power solution was a strong decision criterion. +++ Total order amount: CAD 0.4 million. 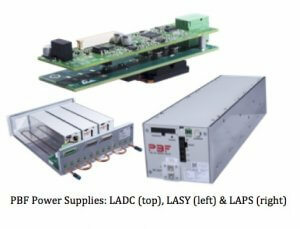 Modular Power Supply integrates PBF’s High Power Platform Technology in a flexible, scalable system solution. 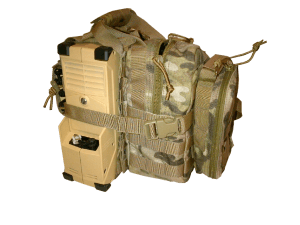 +++ PBF’s semi-standardized High Power Platform again enabled a fast and cost-attractive customization. +++ Order amount of approx. EUR 1.2 million; expected annual order amount from 2020 approx. EUR 2 million. Beijing Green Century Technology Co., Ltd. (Green Century) sells the EFOY Pro fuel cell as energy solution in off-grid and mobile application to their customers +++ Green Century is trained and certified by SFC Energy to install and service the fuel cells in their applications.